A method of manipulating inheritance has been demonstrated in mammals for the first time, opening a new chapter of controversy in the field of gene editing. Scientists in the US managed to increase the odds that mouse offspring inherited two copies of a mutation causing them to be born with white instead of black fur. So-called “gene drives”, which force offspring to inherit specific traits, could in future transform the study of diseases such as cancer using genetically engineered “model” animals. They could also help to restore natural balance to ecosystems overrun by invasive species, or control pests, say experts. But the technology raises major ethical considerations since it has the power to alter entire species. Commenting on the new advance in the journal Nature, US geneticist Professor Bruce Conklin, from the University of California at San Francisco, warned of the “unintended consequences” of unregulated gene drives. He wrote: “Because gene drives have the potential to alter an entire species, appropriate regulation of this technology is a major concern. “Only the most intractable and major health challenges should be considered for possible interventions using gene drives. Under normal circumstances, genes come in pairs, one inherited from each parent. Gregor Mendel, the “Father of Genetics”, discovered this fundamental principle of heredity in the 19th century as he experimented with pea plants. It means an offspring has an equal chance of inheriting a particular genetic variant, or mutation, from either its mother or father. A gene drive loads the dice, making it more likely that the offspring will be born with a chosen trait, such as fur colour. While gene drives have previously been demonstrated in plants and insects, until now they have never successfully been used to modify inheritance in a mammal. A US team from the University of California at San Diego tested the technique on mice using the gene editing tool Crispr/Cas9. The system relies on “molecular scissors” to make highly precise changes to DNA. The scientists engineered a disruptive DNA element, called “CopyCat”, that was spliced into the gene for an enzyme controlling fur colour. Gene editing allowed CopyCat inserted into one copy of the inherited gene to be duplicated in the other during egg production in females. This increased the chances of CopyCat being passed on to the next generation. When both copies of the gene contained CopyCat, the resulting offspring was born as a white-furred albino. In one mouse family, up to 86% of female offspring inherited the CopyCat element from their mothers instead of the usual 50%. 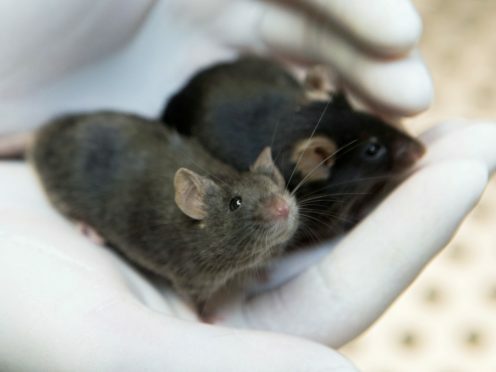 Dr Kimberly Cooper, whose team reported the research in Nature, said: “Our motivation was to develop this as a tool for laboratory researchers to control the inheritance of multiple genes in mice. The technique only worked for the female inheritance line, said the scientists. This may have been due to differences in the timing of male and female meiosis, a cell division process that shuffles genes between chromosome pairs.